After a delay of way longer than expected, I am happy to announce that the redesigned Five Hundred game V1.00 is now available! Of course, the first version doesn’t mean development is complete. I’ve tested it on as many PCs as I can get access to, but a wider audience may introduce new bits and pieces to address. Please feel free to email me with any issues, comments, feedback or suggestions for newer versions. Network play – play with or against your friends on a LAN or over the internet! Enjoy! You can download the game from here. Update: Version 1.00 now available – get it from this link! Wow, far, far too long between posts! Icefall development is currently on hold for a little while as… the problem is… I’m not finding it as fun to play as it should be. So I think I need to take a break and focus on something smaller and easier for a little while. Out of all my past projects, my “X500” game is the one I still get the most comments and emails about. 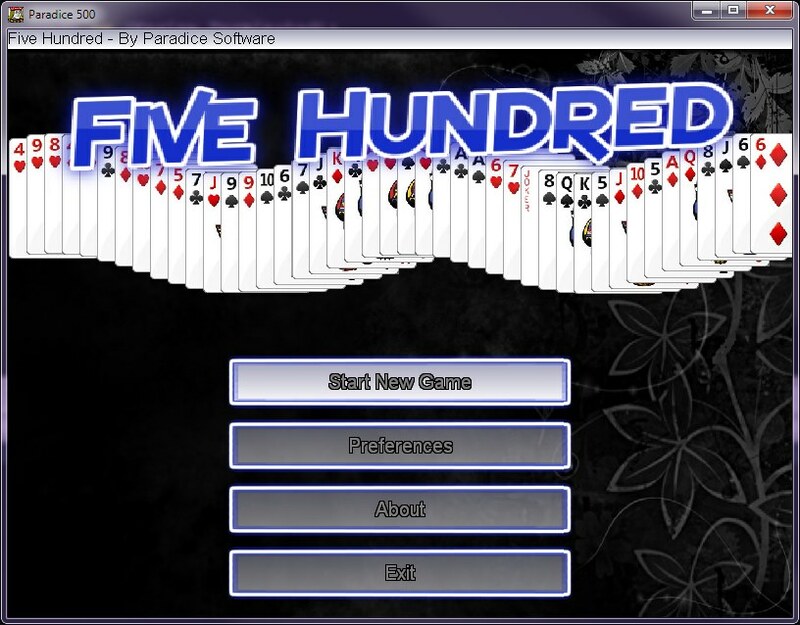 Back in the day, I wanted to play the Five Hundred card game, but, looking around the ‘net, decent implementations were pretty much non-existant. So I created a version and released it online. Surprisingly, it actually was fairly well received and became quite popular (Completely Free Software gave it a “5 stars award” which was pretty cool). Unfortunately, back at that time I was working on a game/graphics library that was source-compatible between DOS and Windows/DirectX versions… (looking back, I have no idea why I clung to DOS compatibility for so long.. oh well). As a consequence, I couldn’t implement a 100% compatible DirectX implementation for the Windows version… and as a result, it no longer runs currently on modern Windows versions. So, time for a rewrite! Looking around the internet, I came to the disappointing realisation that there are still no really good Five Hundred games out there! So I’m currently putting the finishing touches on a redesign (early screenshot of the new version above) for Windows XP, Vista, Windows 7, and 8 PCs (yes, it will even support touchscreen play since I recently bought a Surface Pro tablet for testing). I also want to take the opportunity to improve some of the AI from the old version. I hope to release the final version by the end of June! Pathfinding is hard in the sense that it takes a lot of computing power to accomplish. And it doesn’t get easier with newer hardware either – as computers get faster, games generally incorporate more complex terrain and more inhabitants, so pathfinding stays complex. For example, the average RTS devotes 30% of CPU time to video (prepping stuff for the GPU, plus UI etc), 30% on AI & scripts, and 30% on pathfinding (the remaining 10% on everything else). 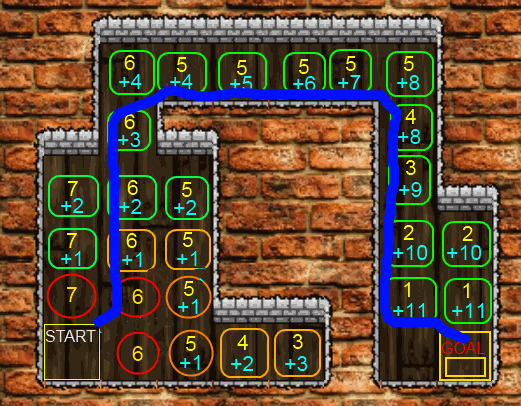 Icefall uses two different pathfinding algorithms to improve efficiency. 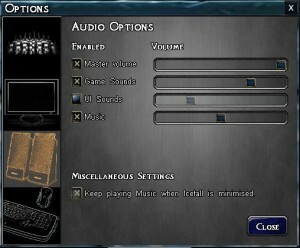 Being turn-based, I don’t have to worry about time-critical calculations, so paths should always be optimal path (it’s acceptable for realtime games to take a ‘best guess’ or suboptimal path – you can see this in games like Dragon Age or Diablo: if you click somewhere far away or obscured by obstacles, your character will try to walk there but they get stuck). Let’s talk about how Icefall’s pathfinding works specifically. 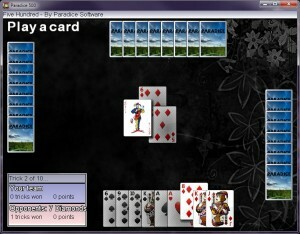 A* (Wikipedia entry) is the method Icefall uses to calculate the player’s path. If you click on a distant doorway or shop, your character will move towards it using the fewest steps possible, regardless of how convoluted the actual path is.It works by starting at the player’s current location, and looking at all of the neighbouring squares (all the squares that the player could reach in a single move). For each of those squares, it looks at the *absolute* distance between this position and the goal position (that the player is trying to reach). The absolute distance is just ‘the distance in a straight line, assuming there were no obstacles’. This (simplified) example shows a very simple dungeon with a start and goal square. The three initial candidate squares have been marked with red circles (this is called ‘the open list’ of squares), and the number within represents the absolute distance between each square and the goal. The algorithm selects one of the squares from the open list that has the lowest absolute cost. So in this case, it could select either of the “6” squares. Let’s say it picks the bottom one (to try and go in a straight line). The process is then repeated, with all of the neighboring squares from our new square evaluated for their absolute distance to goal – but with a new step. We add to that distance the number of squares that we have already taken to get there (in this case, 1, since we’ve only moved once so far). Note that we also briefly consider the start square, and the other two red circles, but we discard them because they’re already in our ‘open’ list. We’ve found two new candidate squares to add to the ‘open list’ – both are of absolute distance to goal 5 and have a distance travelled of 1 (+1 in the diagram). Because we’ve now fully evaluated that bottom ‘6’ square, it’s moved from the open list to what we call the “closed list” (which just makes sure we don’t end up re-evaluating squares that we’ve already done). Now, the process continues by picking one of the squares in the open list with the lowest absolute distance + distance already travelled. If multiple squares have the same total, we pick a square with the highest distance already travelled first – this ensures that if there is a direct path to the goal, we find it immediately. If we continue this for a few move evaluations, we’ll end up with something like this. We evaluated the next two squares in the dead end, as they both had a combined total of 6, and they had the highest distance already travelled values. But then we reached a dead-end there (there were no valid moves from that 3/+3 square), so we next evaluate the remaining 5/+1 square. on the open list. It finds two new squares to add, a 6/+2 and a 5/+2. After this picture, the lowest total value that’s still open is actually the original red circle (it has a cost of 6. Our other open squares have values 7/0, 6/+2, and 5/+2). When evaluating it’s neighbors, we find that it has a shorter route to the square directly above it. Instead of 6/+2, it can be replaced with 6/+1 – this is fewer squares travelled to reach the same goal. So this square value is replaced in the open list. Evaluation then continues. Eventually, we’ll end up with the following table, and the optimal path. In this contrived example, we end up evaluating almost every square, but the important part of this algorithm is that it will ALWAYS find the MOST EFFICIENT path possible. 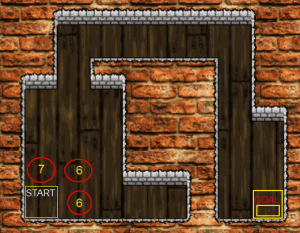 Apply these steps to any path (assuming the path can actually be reached), and you will get the best possible result in the end (note that this path has effectively “skipped the corners” in the tunnel, without us having to do any special coding to take this into account). So, that’s how Icefall calculates paths for the player. Seems easy enough, but you can see a lot of squares may end up being evaluated (especially in a big dungeon that has dead ends). So, how do we calculate the pathfinding for monsters? Since there may be dozens or hundreds of these in an Icefall dungeon…? Stay tuned for next time! Lately, I have been rewriting some of the subsystems in Icefall. Now that the core of the gameplay is in place, it is time to go back and implement flexible/efficient versions of systems I originally coded in very fast to get the basic game up and running. Mainly this involves recoding subsystems to do things like handle errors more gracefully, respect the user settings (and respond correctly when these are changed on the fly), and cover everything in detailed comments so that future generations can understand how it worked. A small break from Icefall. My network has been a bit flakey recently, and it was irritating because it wasn’t always immediately obvious when it died. So I wrote a little application that can sit in the notification area and send a regular ping to a designated address/site, and make a sound if it suddenly dies (and when it comes back). It also includes full FreePascal source code. I managed to remove all external dependencies on other code, so it will compile solely from the FPC Win32 RTL. I’ve also commented almost every line, so on the off chance someone is as crazy as me and wants to see how to program the raw Win32 API from FPC, this is probably a good example! You can download the application (and source code) from this link. Sometimes, you produce a UI that makes perfect sense to you, but when you introduce it to another player, they can’t follow it. 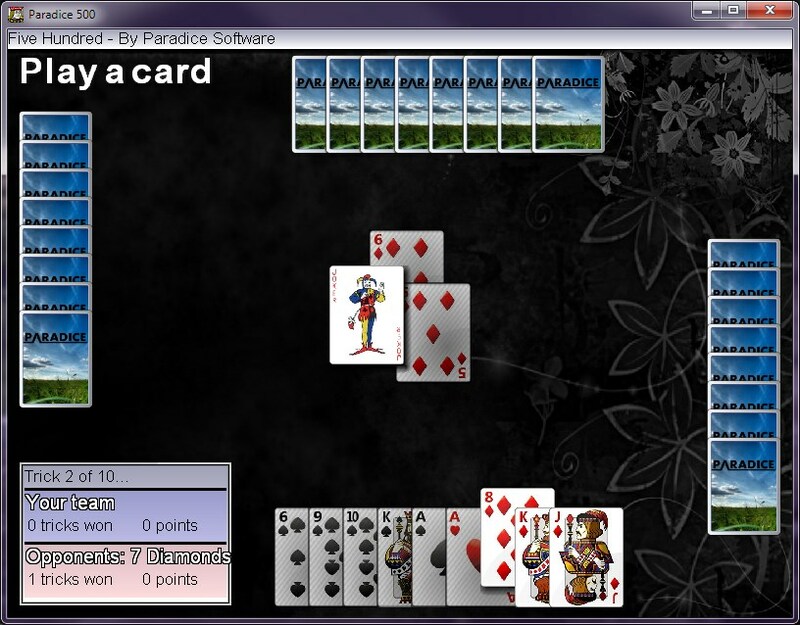 Original UI Layout, with player/target health bars at the bottom left. 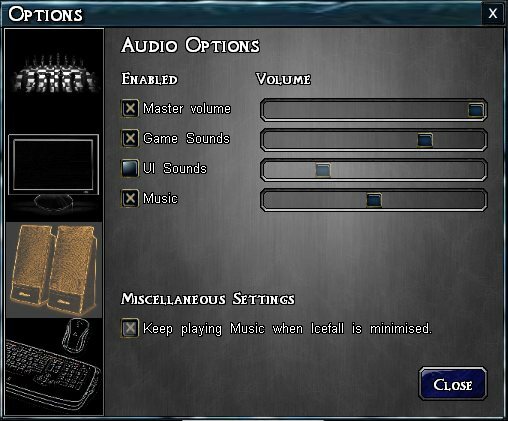 This made sense to me, and was based on Angband displaying the player/monster health stats in that corner. However, when I got a couple of friends to play it, both of them struggled to track the player’s health without me explicitly pointing it out, and one got the health bar confused with the experience bar in the centre. I also took the opportunity to update the UI backdrop to make the player/target area jump out a little more with a “leather canvas”-type frame. The lesson? Always test the UI on people who have never seen the game before, and be resigned to the fact that you might have to change it. Although I haven’t posted anything for a long time, I have still been (occasionally) developing Icefall. There are three new concepts which I have introduced since my last Icefall post – two enhancements to the visual engine, and one to the game core. Today I’ll talk about one of the visual enhancements – seamless textured walls. If you look carefully at some earlier Icefall screenshots, you’ll see the white and teal-coloured wall graphics. 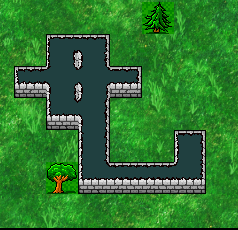 I actually thought these were pretty cool at the time (certainly an improvement over most Angband clones’ “single tile for every wall”, as they had a slight 3D aspect, and wall tiles “linked up” with those next to them. The only thing I wasn’t happy about was when there was a wall that was exactly two tiles thick, and the player could see both sides (e.g. 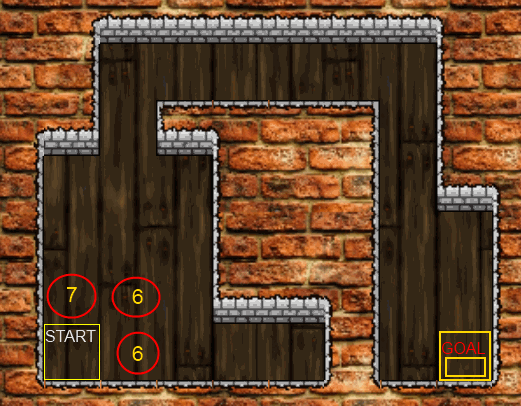 they were two separate rooms), these ‘wall texture’ bubbles would appear in the centre of the wall – this was because the tiles didn’t check their diagonal neighbours, so they had to assume there wasn’t wall there (checking in the old engine would have meant I would need 256 different wall tiles for every combination of neighbours, instead of 16 when they only link up horizontally and vertically). But, this was fixable! I have recreated the whole wall-drawing algorithm so that it now takes three passes instead of one. The first pass draws a nice ‘wall texture’ (the actual texture can vary depending on the level, so the deeper you go into the dungeon, the walls themselves will start to look more sinister). Secondly, an “outward-facing” wall texture is applied. 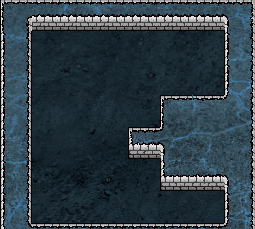 This fixes up all the edges between wall tiles and ground tiles, similar to what happened before except that this tileset has no diagonal corners. 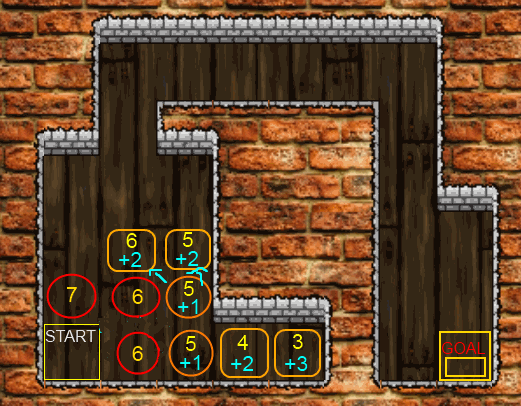 Finally, another pass is made over all wall-edges, looking solely for diagonals and filling those in as needed. Although this takes more GPU power than the old method, GPU power is not something I’m really worried about for Icefall, as the visual engine overall draws the game world very efficiently. (I must talk about this sometime if I haven’t already). And the results, hopefully you will agree, look a lot nicer! Next time (which I promise will not be as far away as this update was from the last! ), I will talk about displaying the player character themselves – as they’re now displayed in the gameworld with the equipment/weapons they have equipped! A quick look at the Xbox 360 Kinect… looks good. Note that it’s much faster response time on the guy in the red sweater compared to the chick in the black and white. At previous demos, the demonstrators have been wearing red too. Apparently, they worked firstly on fine-tuning the system to minimise latency on red, and they’re working to bring other colours/patterns up to the same speed between now and launch (November). I think this shows the latency could be VERY acceptable!